In New Zealand, the rail network is pretty limited and has declined during my life. 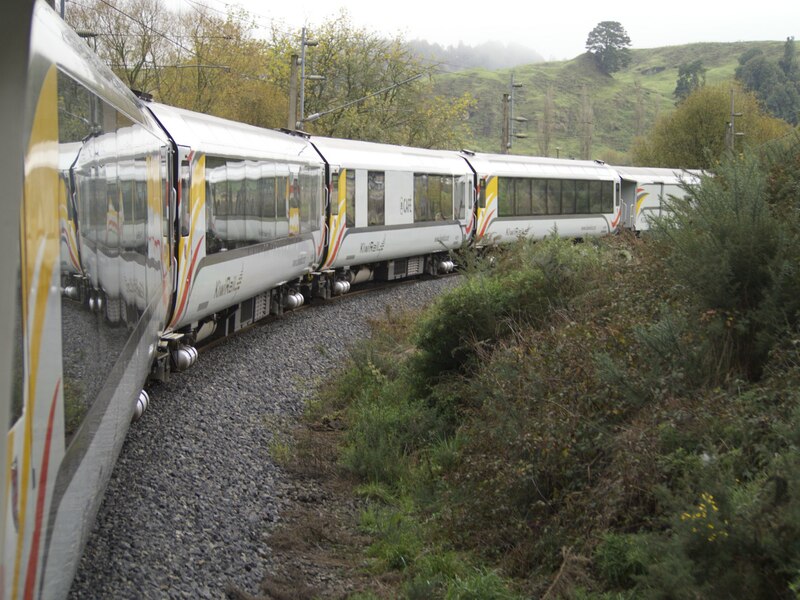 Now, the train that used to travel twice daily between Auckland and Wellington is now only thrice weekly. And even that infrequently still is in danger of cancellation. I took the trip from Auckland to Wellington for the first time, a few weeks ago. It is one of those trips that I have often wondered about doing but have never got around to it. The 12-hour journey time was rather a deterrent! The service was relaunched last year as the Northern Explorer, as a more tourist oriented service than the Overlander. The changes involved removing many of the stops from the timetable to cut the journey time to 10½ hours, refitting the carriages and providing a new open-sided viewing carriage. The trip starts, reasonably early in the morning, at the new Britomart transport hub in Auckland. After being greeted and checked in, we made our way downstairs to the train and settled into the comfy seats. At 7.50am the train departed from Auckland and headed out towards Hobson Bay. On the sunny morning, it was a great start. A train is a bit of a different beast than a car, bus or plane. There are big windows. It’s easy to walk around. There’s even a dining car. A day of travel by train isn’t tiring like those other means of conveyance. It’s calming. The landscape in New Zealand is quite varied. After leaving Auckland, it didn’t take long to get out into farmland and towards the Waikato. On a cold, clear morning there was quite a lot of fog. It started slowly with blue sky and cold fog, before just becoming a trip through low cloud. The central North Island is where the scenery starts to get more interesting. The track gets to about 800m above sea level on the Volcanic Plateau, after climbing through the Raurimu Spiral, where the train winds around itself to gain 221m in a short distance. It doesn’t seem that impressive now when a car could easily do that but trains seem to have a lot more trouble with hills. Getting onto the Volcanic Plateau at National Park station, we were greeted with cloud instead of the glorious view of Mt Ruapehu that I had been expecting. It took another hour, after we had gone past Ohakune before I got the view that I expected. I wasn’t expecting the trip from Ohakune through to Wellington to be that exciting but getting the view from the railway instead of the road made quite a difference. 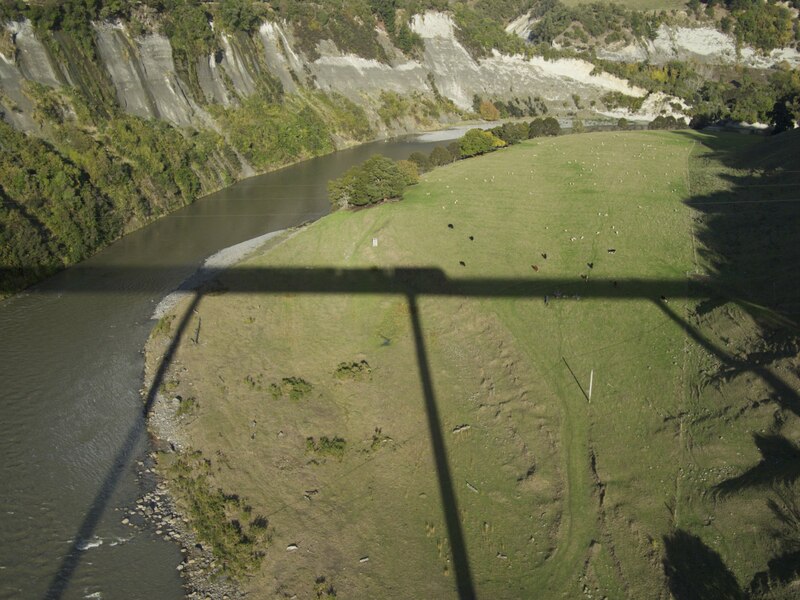 After passing Taihape and getting into the Rangitikei Gorge it made me think that maybe that is some of the most underrated scenery in the country. Finally at Palmerston North the sun started going down. It’s coming in to winter and the days are pretty short at the moment. Then hour or so after the sun went down wasn’t that exciting but it was a good chance to sit in my seat and have a bit of a rest. The day had flown by and I’d had a wonderful trip. in the 10½ hours on the train I hadn’t been bored at all and had got a different perspective on a landscape that I thought I knew well. This is a trip that I would definitely look at doing again and would recommend to others. BTW: the WordPress interface seems to have changed since I last used it an I’m not sure how to create a photo gallery. Anyway, there are a few more photos from the trip on my Flickr page. Sad that the long distance trains in NZ are now aimed at tourists. The slow journey times and high prices really ruled them out as a viable alternative, and it has been many years since I took a train in NZ. It will take more than big windows and a dining car to get me back onboard the trains again.